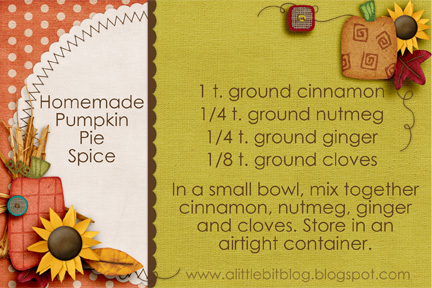 Need pumpkin pie seasoning in a hurry? No worries...make it at home! In a small bowl, mix together cinnamon, nutmeg, ginger and cloves. Store in an airtight container.